Why sing mantras in a group? The Moola Mantra contains enormous potential and power; it has the ability to expand your awareness and raise your level of consciousness, thus benefiting all of mankind. Chanting Hare Krishna Hare Krishna is a great devotion to our Almighty God and of extreme benefit to the modern seeker of Truth, Salvation, Illumination, and Enlightenment. Chanting the Mantra of Avalokiteshvara is of great benefit to the modern day seeker of Enlightenment, Salvation, and Liberation. Avalokiteshvara is the Bodhisattva of Compassion. Lord Shiva Mantras are of great benefit to all spiritual seekers of Enlightenment and Moksha. Meditation on Om Namah Shivaya is a great devotional act. When one is chanting the maha-mantra, one is saying: “O Krishna ! ... Krishna means the all attractive personality of Godhead, Rama means the reservoir of all pleasure, and Hare is the name of Srimati Radharani. It is the calling out to Sri Radharani who steals the heart of Krishna by Her infinite love and devotion. 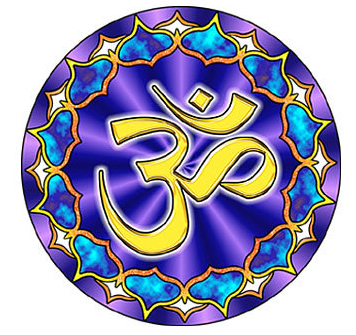 George: Going to a temple or chanting with a group of other people–the vibration is that much stronger. What’s the difference between chanting Hare Krishna and meditation? This mantra contains enormous potential power; it has the ability to expand your awareness and raise your level of consciousness, thus benefiting all of mankind. This mantra is a direct link to the living God, the Supreme Being, and Creator of this Glorious Universe. Chant this mantra with meaning and intent. Allow the wellspring of love that arises within you to flow out into the world. This mantra will fill you with love, peace, and joy. Hari Om Tat Sat is a prayer that adores the great creator and liberator, who out of love and compassion manifests, to protect us, in a physical form. Also, this Sanskrit mantraevokes the living God, asking freedom and protection from all sorrow and suffering. Translation: One Creator. Truth is His name. Doer of everything. Fearless, Revengeless, Undying, Unborn, Self illumined, The Guru's gift, Meditate! True in the beginning. True through all the ages. True even now. Oh Nanak it is forever true. The Mul Mantra translates as the root mantra from which a spiritual foundation is built. This mantra was given to us by Guru Nanak, the first Guru of the Sikhs who walked this earth in the fifteenth century. It is a mantra that gives you the compass so that you may find your true self. This true self sits within the opening of your heart. Some say that the most difficult journey in life is moving from the energy of the navel center to the heart center. The navel center is very important especially in its balanced state. The navel in a balanced state gives you the fire of courage to stand up for truth. It gives you the capacity to know your center, to be rooted in your inner truth. It gives you the basic energy of digestion… both in how we digest food, but also in how we digest energy. One beautiful teacher, Ma Jaya Sati Bhagavati once said to me, “I eat pain for breakfast” referring to the energy that she dealt with after spending time with AIDS patients. Emotional or mental pain is a part of living life, especially for someone on a spiritual path. The drug companies and popular media make you believe that one should not have pain this kind of pain. Take a pill. Do something to shut yourself off. But the moment you go through the pain, the moment you digest it so to speak… you allow it to be… you embrace it… then that pain is healed forever and released. This takes a balanced navel center. When our navel center is in an imbalanced state we are greedy, looking to acquire things and energy that we don’t really need. We look to fill up an abyss within that can never be filled. That abyss comes from all of the pain that we haven’t figured out how to digest. This energy I believe is prevalent in the world today. What is the remedy to bring us back into a balanced navel center which allows our heart to open? How can we be fulfilled without needing things from the outside? How can we find a simpler more sustainable way to live on this planet? There are many tools to do just these things. A very powerful mantra tool is the Mul Mantra. Here is the mantra with the translation. Truth is God’s Name… The vibration of God’s Name is what created all beings…. that vibration is within me…. therefore in my core I am true. God is the Doer…. God does all things… God works through me…. God works through everyone in my life. God is fearless… I am fearless. God has no revenge…. I exist in my heart… I stay present… I don’t hold on to the past…. I live in this moment in full compassion and acceptance of what is. God exists in the undying form… God is in the purity of our efforts to live in a spiritual way, and these efforts never die… these efforts live on forever. God is self illumined… I am self illumined. Within me I have the power to find light, to find love, to find joy. I don’t need anyone or anything for this. It is by Guru’s Grace…. it is the Grace of the teachings of the Divine One…. the Guru…. Guru Nanak, Jesus, Mohammed, the Masters of all traditions that give us Grace. Oh Nanak, forever and always true. Spirit, Truth, Love, and Light…. these are the things that are true, that have always been true. This is the Mul Mantra…. Let us chant it together. Let us let go of the dream… and find the reality of our truth. Ra Ma Da Sa, Sa Say So Hung is the mantra for the sacred healing meditation first taught in the Summer of 1973. This healing meditation is used to pray for healing energy for our friends, family, and ourselves. This mantra taps into the energies of the sun, moon, earth, and the Infinite Spirit to bring deep healing. Chant it when you want to send healing energy to a loved one or need healing yourself. It was also practiced at every White Tantric Yoga® Course following Yogi Bhajan. Sit comfortably. Bring the hands to the heart center in prayer mudra. Eyes are closed. The breath will come naturally.